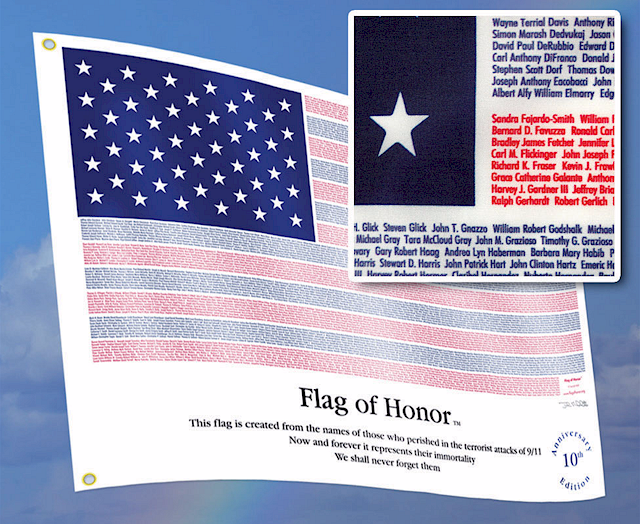 This flag has been created with the sincerest intentions of honoring the victims of the terrorist attacks of September 11, 2001. With the goal to immortalize each individual victim, to give comfort to the families left behind by knowing that their loved ones will be forever honored and remembered and to create an enduring symbol, recognized by the world, of the human sacrifice that occurred on that day in 2001. 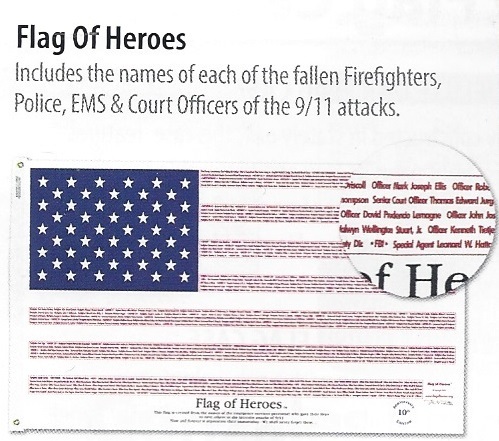 Includes the names of each of the fallen Firefighters, Police, EMC & Court Officers of the 9/11 attacks.